Love, love, love this pinpointer. I've used it for several months now and much prefer it to any other pinpointer I've owned. It's waterproof and feels solid in the hand. The many setting options allow for practically any condition and type of hunter. It has multiple frequencies (16) so I can use it with any number of detectors I own without interference. Best of all, it's pulse induction (PI)...ground conditions such at mineralized soil or salt water beaches wont effect it! 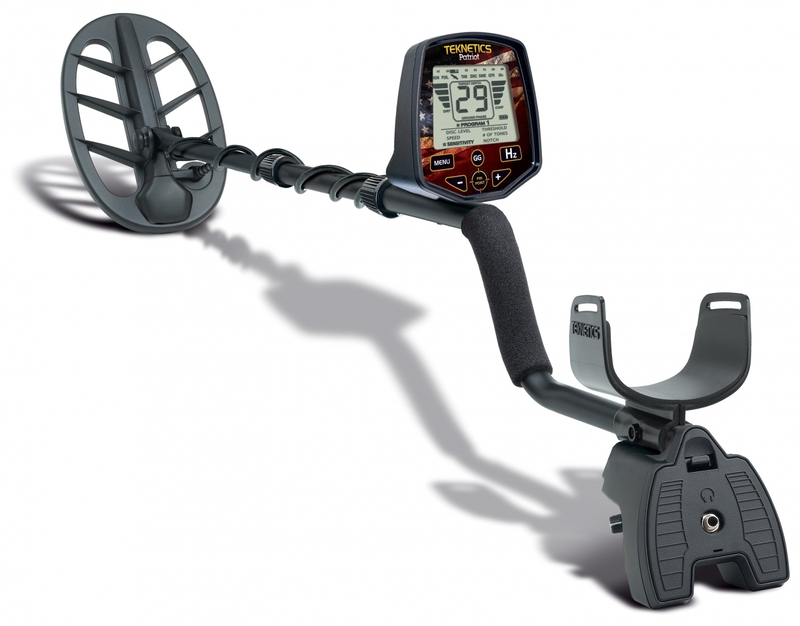 Must-have detecting gear! There is not enough I can say about this pinpointer! I’ve been using this pinpointer for a while now and it is amazing! Has incredible depth and makes locating targets so much easier. It has so many different settings for sensitivity and sound. Also, since it’s PI, it does great in hot soil! In addition, it has 16 different frequency settings so that you can change it if it interferes with you detector. I believe this is the best pinpointer out there. Highly recommend it! I have had a Tek Point pinpointer for 6 months now....... ITS AMAZING!! I have used it in every environment from the beach to the creek and it has not let me down! The LED light is great for low light conditions and night hunts! And one thing that has saved me multiple times is the Lost mode! Without that mode I know that I would've spent more time looking for my pinpointer than i did detecting! Overall this a great product with tons of features..... Also on Teknetics Youtube channel they have a very handy instructional video that I found very helpful! Teknetics have hit a huge home run with this Tek-Point. Even on the lowest power setting it can match or beat many of the other pointers on the market turned to their max. Turn it up to medium (default) or high - and you can kiss the competition goodbye. Being pulse induction this pointer cuts through heavy mineral soils like a hot knife through butter. There is ZERO loss of performance like you have with the other BFO and VLF pointers the competition has rolled out recently. I have used this on the salty, black-sand beaches of California - the iron infested gold fields - and in hot and dry city parks. It does the job every single time without question. The rubberized grips keeps it nice and tight in your hands. The battery cap is fantastic as I can open it with wet hands and a coin, something almost impossible to do on a certain orange colored pointer once it was wet. Since it uses AA batteries instead of 9V - rechargeable options are plentiful and long term $$ savings will practically pay for the pointer by the time the warranty is up. No cross talk with your detector thanks to 16 different frequency shifts. Let me say this is probably the greatest feature on this pointer. Other pointers can make a detector have fits from EMI interference.. However, with 16 shifts available it will silence any chatter with ease. THANK YOU Teknetics for this amazing feature that you also include in many of your full-sized detectors as well. Truly a blessing in this EMI filled world. Easily the best pointer I have ever used. If you take this hobby seriously and want the best equipment to improve your recovery time...do yourself a favor and buy a Tek-Point right now. Where do you want to detect?